On April 15, 1865, a detail of six Union soldiers transported the body of Abraham Lincoln from the Petersen House to the White House, where a Union surgeon performed an autopsy. In recognition of the extraordinary task performed by these soldiers, their commander, General Daniel Rucker, cut six pieces of President Lincoln’s undershirt and gave a piece to each soldier. One of these soldiers was John C. Weaver from Schuylkill County, Pennsylvania, who was assigned to the Quartermasters Corps at the time of President Lincoln's assassination. 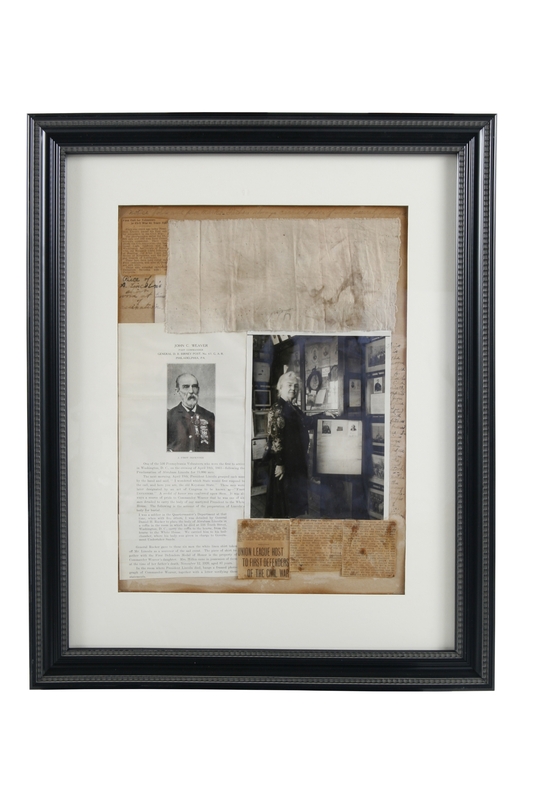 Weaver's piece of Lincoln's undershirt was given to his granddaughter, Ellen Millen, who complied a collage that incorporated the cloth fragment, printed documentation about Weaver, photographs and annotations.